Covering the complete nutrient spectrum including MSM and probiotics, NAF Veteran Supplement is specially formulated to provide the essential nutrients required by veteran horses. 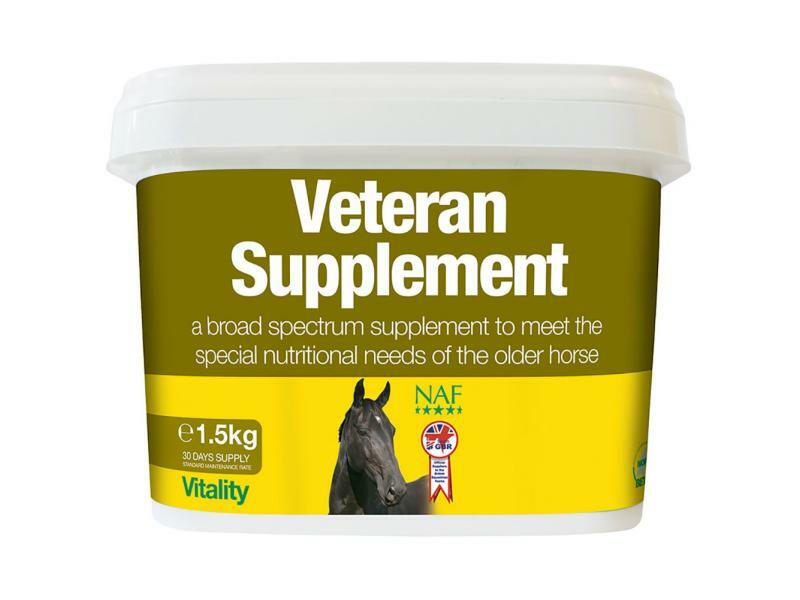 Extensively used, NAF Veteran Supplement give your older horse the constant support and nutritional boost they need, whether in retirement or still working. NAF Veteran can be fed from the mid teenage years onwards. Feed daily to balance the micro nutrient requirements of the veteran horse's diet. Potato protein, Dicalcium phosphate, Brewers' yeast,White mineral oil, Gingko leaves, Ginseng (Siberian), Magnesium oxide, Methyl sulphonyl methane, Oligofructose (dried), Saccharomyces cerevisiae extract, Sodium chloride, Calcium carbonate. Vitamin A E 672 14000 I.U. Vitamin D3 E 671 36100 I.U. 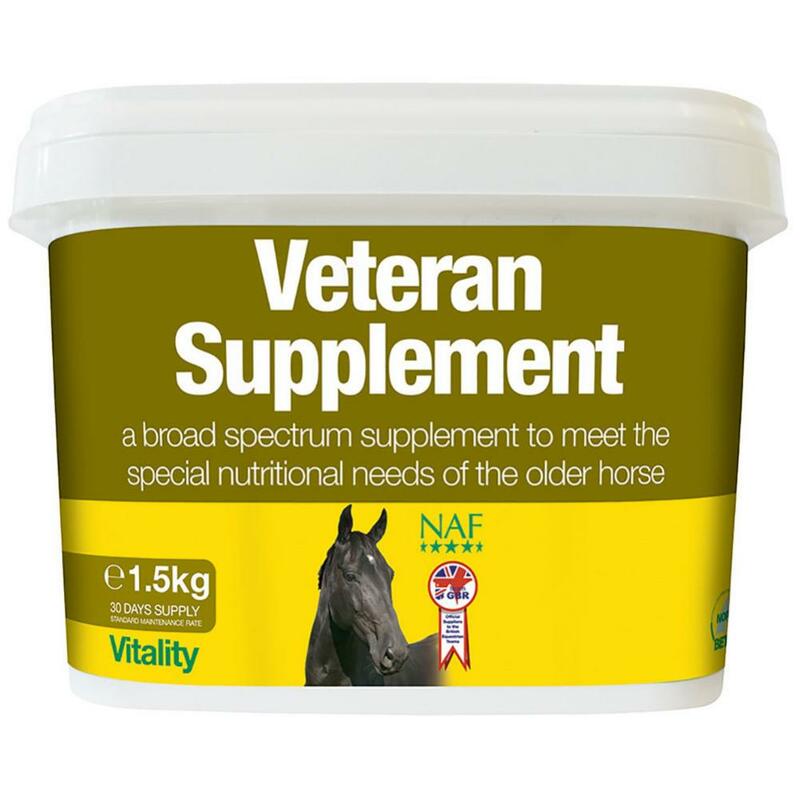 There are currently no questions for NAF Veteran Supplement for Horses - be the first to ask one!